Julian Margolin worked in the Toy and Gift Industry for 25 years manufacturing products for all of the UK’s major retailers. After selling his business in 2007, he was fortunate enough to dedicate his time to charity. First working as a Trustee for the charity Cure Cancer at UCL, Julian soon discovered KidsOut and was perfectly suited to help organize their Toy Box service that now sends out thousands of toy boxes to disadvantaged children each year. 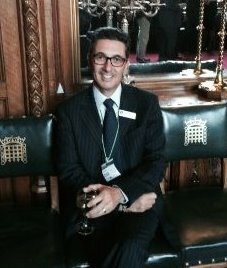 Julian presently works as the Chief Ambassador of KidsOut, liaising regularly with all of the charities key contributors and working closely with the CEO in growing and developing the charity. Julian, aged 56, has been married for 30 years and has two sons. His hobbies include golf, travelling and he is an avid supporter of Chelsea Football Club.